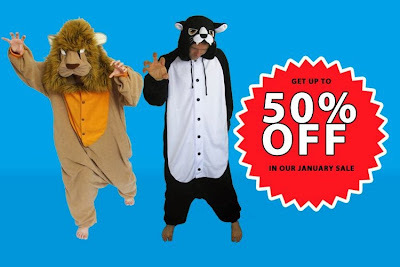 We're having our biggest ever January Sale with over 100 products reduced to clear including animal onesies, costumes and clothing. For a limited time only, you can save more than 50%. So head on over to the sale page now.